The advertising firm is preparing to list in Shanghai two years after it left the U.S. stock market. High valuations will tempt other Chinese companies with overseas listings to return home. For many, though, the costs and legal complexities make switching more hope than reality. 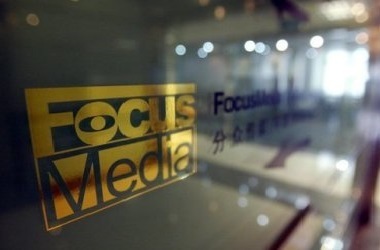 Chinese advertising firm Focus Media is preparing a listing in Shanghai through a reverse takeover, according to IFR, a Thomson Reuters publication. The company delisted from Nasdaq in May 2013 through a leveraged buyout that valued it at $3.7 billion. The buyout was led by chairman Jason Jiang with backing from private equity funds including Carlyle and FountainVest. It is now being valued at up to 50 billion yuan ($8 billion) ahead of its relisting, Shanghai Securities News reported in February. In March, Focus Media completed a $1.4 billion refinancing of its existing debt. It was the second time that the company has refinanced its debt since the leveraged buyout. U.S. listed Chinese online game developer Perfect World agreed on April 26 to be taken private by its chairman and majority shareholder in a deal that values the company at $1 billion. On April 3, U.S. listed Chinese developer Shanda Games agreed to be taken private in a deal led by its controlling shareholders that values it at $1.9 billion.